September 12, 2018 | 9:00 a.m. The San Diego County Board of Supervisors will make the final determination on Rudyville’s request for increased zoning density at its hearing on September 12, 2018. Despite Borrego’s years of overwhelming opposition to Rudyville (aka DS-24), the County Planning Commission, at it’s meeting in June, did not listen to Borregans or its own staff’s recommendation to deny Rudyville’s request in its entirety. Rather they voted to increase zoning density on the 20 acres of Rudyville that sits atop the relic sand dune. What the Board of Supervisors will do is anyone’s guess. For more than a decade Borrego has turned out in droves on this issue—at Sponsor Group meetings, at County presentations, and at the Planning Commission hearing. We need to do it one more time, one last time. We need to pack this Board of Supervisors meeting on September 12th. The hearing will be on the third floor in Room 310 of the County Administration Center at 1600 Pacific Highway in San Diego. Anyone wishing to speak at the meeting must turn in a Speakers Request Form before the hearing begins at 9AM. Attend the hearing on September 12th (and take a neighbor!). Sign up to speak whether you intend to speak or not. Watch and Share the video Borrego Knows Best Use Facebook, Twitter, Instagram or any other social media platform to share with your friends and neighbors. Sign the petition by submitting this form. Make a donation to TCDC by clicking here. Every dollar raised helps us contact more people who are supportive of our cause. The mailing address for all Supervisors is 1600 Pacific Highway, Room 335, San Diego, CA 92101. The final vote on Rudyville’s request for increased zoning density on 170 acres of pristine desert habitat will take place on Wednesday, September 12, 2018, at a hearing before the San Diego County Board of Supervisors. The hearing will be held at the County Administration Center at 1600 Pacific Highway in San Diego, Room 310, beginning at 9AM. Any member of the public wishing to speak at the hearing must be present before 9AM to complete a speaker’s request form. This is a critical moment in the 12 year saga of Rudyville. I encourage anyone and everyone who has an opinion on Rudyville to turn out for this hearing and to sign up to speak. This is the big one. Now is the time to send letters and make phone calls to each of the five Supervisors. The prelude to the upcoming Board of Supervisors hearing was the June 22, 2018 hearing before the County Planning Commission. The role of the seven-member Planning Commission is to make recommendations to the Board of Supervisors on land use issues, such as Rudyville. At the June 22nd hearing, by a vote of 4-3, the Planning Commission rejected its own staff recommendation, which was to deny the Rudyville request in its entirety. The Commission then voted 6-1 to recommend the Reduced Impact Alternative, which would allow increased zoning density on the 20 northern most acres of Rudyville. While some may view the Planning Commission’s recommendation of the Reduced Impact Alternative as an acceptable compromise, there is nothing binding about that recommendation. Just as the Planning Commission didn’t have to follow its own staff’s recommendation, so the Board of Supervisors is not compelled to follow the recommendation of the Planning Commission. The Supervisors may vote any way they chose, including up zoning the entire Rudyville parcel, which is why a large turnout for this hearing is so important. Because of the political support that Rudyville appears to have, TCDC will launch a social media campaign in the weeks prior to the Board of Supervisors hearing. The goal of the campaign will be to provide each of the five Supervisors with as many letters, petitions, and phone calls about Rudyville as possible so they will understand community sentiment on this issue. Anyone wishing to get more information and/or participate in the social media campaign may do so by signing up for the Rudyville Mailing List or by calling TCDC at (800) 204-3656. 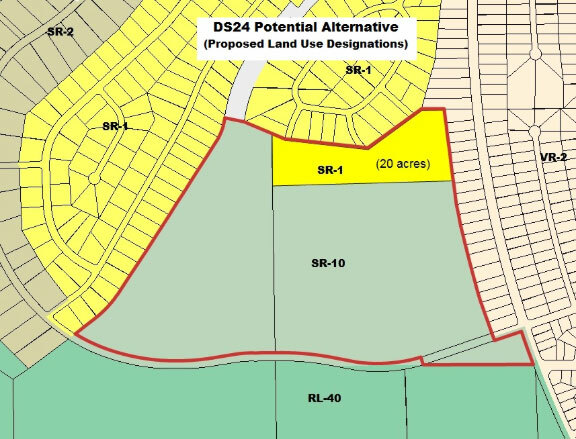 Friday, June 22, 2018 | 9:00 a.m.
On June 8, 2018 the San Diego County Department of Planning and Development Services (DPDS) announced its recommendation to the County Planning Commission to deny the DS-24 (aka Rudyville) request to increase its zoning density from one home per ten acres to one home per acre. Such a denial is known as a “No Project Alternative” recommendation. The DPDS also confirmed the Planning Commission will hear public testimony and vote on the “No Project Alternative” recommendation on Rudyville at their June 22, 2018 meeting, which begins at 9AM. Anyone wishing to provide testimony at the hearing must submit a Speaker’s Request Form at the door before 9AM. The hearing will take place in the Conference Center of the County Operations Center at 5520 Overland Avenue in San Diego. The Planning Commission has recognized the travel burden that a hearing in San Diego creates for residents of Borrego Springs. Rather than have Borrego residents make the two-hour trip to San Diego, be present by 9AM, and then potentially wait many hours before their agenda item is discussed, the Planning Commission has agreed to place Rudyville at the beginning of the agenda. Although DPDS’s recommendation to the Planning Commission to deny the Rudyville request is an important milestone in this now 12 year old saga, it remains important for Borregans show up at the hearing and let the Commissioners know what Borrego thinks about Rudyville. For those Borregans who are unable, or don’t want, to travel to the hearing independently, Bill Wright has reserved a “luxury bus with facilities” that can transport 50 residents to and from the hearing free of charge. The bus will leave from the RoadRunner Club parking lot at 6:00AM on the morning of the hearing. Those wishing to travel on the bus must reserve a seat by calling (760) 445-1831 or emailing bill.thewrightco@gmail.com and should be at the parking lot by 5:45AM . Juice and pastries will be served on the bus, and the bus will stop for a light lunch on the way back to Borrego. The bus is estimated to be back in Borrego by mid-afternoon. BDPDS’s recommendation to deny the Rudyville request is based on findings contained in the initial Environmental Impact Report and the Subsequent Environmental Impact Report. These reports provide a detailed analysis of the myriad reasons the request for increased zoning density should be denied—its inconsistencies with the General Plan (Chapter 2.9, Land Use, bit.ly/2CNR6BO, its increase in water demand at a time when the community must decrease water usage by 70% (Chapter 2.8, Hydrology and Water Quality, bit.ly/2CMVTUs, its impact on endangered/threatened species, its impact on an ancient ocotillo forest, its impact on air quality, the fact that Rudyville lies in a flood plain, and the fact that Borrego Springs already has 3000 entitled residential lots which represents a 100 year inventory at the current rate of sales. At the June 22nd hearing the Planning Commission will vote on whether or not to accept DPDS’s “No Project Alternative” recommendation on Rudyville. The Planning Commission’s decision on Rudyville will be forwarded to the County Board of Supervisors who will make the final decision on Rudyville later this summer. After more than a decade of hearings, studies, reports, and meetings, the fate of Rudyville will be determined this year, 2018, at two hearings in San Diego. The first hearing will be before the County Planning Commission and the second will be before the County Board of Supervisors. “There is a 90% probability the County Planning Commission’s hearing on Rudyville will be on Friday, June 22, 2018,” says staff from the Department of Planning and Development Services (DPDS). The date will not be confirmed until two weeks before the hearing. Because of the travel burden this hearing in San Diego places on those Borregans who wish to attend, DPDS staff began notifying interested parties in Borrego in the second week of May of the “very likely” date of the hearing. The Planning Commission hearing will be at the County Complex located at 5520 Overland Avenue in San Diego. At this hearing the Planning Commission will formally receive the Environmental Impact Report that was prepared by the DPDS over the last seven years, and the Commission will hear public comment on Rudyville, as well as comment regarding the 41 other Property Specific Requests located throughout San Diego County. DPDS staff is requesting Rudyville be the first item on the agenda, at 9:00AM, in acknowledgement that those members of the public who have travelled the farthest should not also have to sit through the entire hearing. Borregans have for more than a decade articulated the myriad reasons why Rudyville’s request to increase its zoning density must be denied. Now that we are at the end of this long process, it is crucial to have a crowd of 20-30 community members reiterate for the Planning Commission why Rudyville must be stopped. The Planning Commission’s recommendation on Rudyville will be forwarded to the County Board of Supervisors who will make the final decision sometime later in the summer. The date for the Supervisors’ hearing has not been set, but could be as early as July or as late as September. Because this hearing is occurring in the middle of the summer when many Borregans are in other parts of the country and cannot travel back to San Diego, all members of the community who care about this issue and can travel to San Diego are urged to do so. Additionally, anyone planning to attend the Planning Commission hearing is urged to contact the Tubb Canyon Desert Conservancy (TCDC) via email at email.our.team@tubbcanyondesertconservancy.org or phone at (800) 204-3656. TCDC will maintain a roster of those who plan to attend the hearing, and will be disseminating additional information as it becomes available. In a unanimous, 7-0, vote the Borrego Springs Community Sponsor Group rejected Rudyville’s Property Specific Request (PSR) to increase its zoning density from one home per ten acres to one home per acre. The meeting, which drew a crowd of 60, was held at the Borrego Springs High School on Thursday, March 1, 2018. Rudyville, officially known as DS-24, is a 170-acre parcel of pristine desert habitat located in a flood plain west of Borrego Springs Road between the mile 9 and mile 10 markers. It is home to an old growth ocotillo forest, a relict sand dune, threatened and endangered species, and forms a large swath of the iconic southern entrance into Borrego Springs. Since 2006, the owners of Rudyville have petitioned the County to zone the property for 170 one-acre residential lots. One of the owners, Chris Brown, formerly served on the staff of Supervisor Bill Horn. Rebecca Falk, Chair of the Sponsor Group, began the discussion of the Rudyville agenda item by asking if anyone in attendance intended to speak in favor of the DS-24 request for increased zoning density. Not a hand was raised. Kevin Johnston, project manager for the Department of Planning and Development Services (DPDS), provided context for the discussion of DS-24 by describing the Environmental Impact Report (EIR) for Rudyville his team has compiled over the past six years. He noted the amount of public input his team has received on Rudyville far exceeds the input for any of the other 41 PSR’s that are part of this countywide General Plan Amendment and Rezoning process. He reminded the crowd that the creation of the EIR for Rudyville was authorized by the Board of Supervisors in July 2012 when they voted to spend taxpayer money for the benefit of a few dozen landowners throughout San Diego County who requested reconsideration of the zoning designation they received when the County adopted the General Plan in August 2011. In his presentation Mr. Johnston described DS-24’s multiple inconsistencies with the County’s General Plan, as well as with the Borrego Springs’ Community Plan. Because of the number and significance of these inconsistencies, the DPDS’s preliminary recommendation for Rudyville is the “No Project Alternative.” Such a recommendation is a rejection of Rudyville’s request for increased zoning density for the entire 170-acre parcel, and it is also a rejection of the “Minimal Alternative” that would allow increased zoning density on approximately 20 of the 170 acres in question. Mr. Johnston’s team was required to create a Minimal Alternative as a matter of compliance with California Environmental Quality Act (CEQA). Several speakers noted there are already thousands of zoned and entitled lots available for development in Borrego Springs. The question of why Borrego Springs would make a special exception for Rudyville to create even more lots at a time when the community is in the midst of reducing water consumption by 70% was a recurring theme. Community residents and the Borrego Springs Sponsor Group saw things differently. 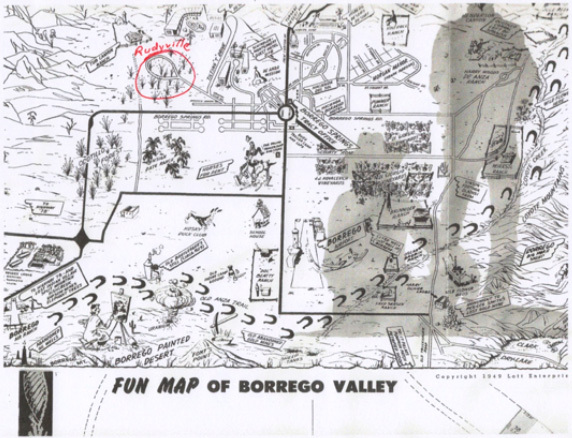 Opposition to Rudyville solidified, and in 2007 the Sponsor Group officially opposed the request for a Mitigated Negative Declaration “because of its proposed density, impacts to groundwater, impacts to the stabilized sand due that runs through the parcel, and because the development would encourage Borrego to grow to the south when efforts have been made to expand Borrego’s residential district to the north onto current agricultural land.” (Borrego Sun, Vol. 56, No. 13, June 28, 2007). On April 7, 2016 the Sponsor Group again took up Rudyville’s request for increased zoning density. More than 150 community members attended this standing-room-only meeting. Not one person spoke in favor of the Rudyville request. Because of vacancies and recusals, the Sponsor Group did not have a quorum and was unable to vote, but the sentiment of the community was clear. March 1, 2018, the Borrego Springs Community Sponsor Group unanimously votes to deny the Rudyville request for increased zoning density. The Tubb Canyon Desert Conservancy will be coordinating a petition and letter writing campaign in the months prior to the public hearings of the County Planning Commission and the County Board of Supervisors, where the fate of Rudyville will be determined. The dates for these hearings have not yet been set. All interested community members who would like to be informed of the dates, times, and locations of these public hearings and/or would like to participate in making elected representatives aware of community sentiment regarding Rudyville are invited to sign up for the Rudyville Mailing List at www.tubbcanyondesertconservancy.org. The Borrego Springs Community Sponsor Group will meet on March 1, 2018 at 4:30 PM in the Community Meeting Room at the Borrego Springs High School to hear public comment on the now decade-long development scheme known as “Rudyville.” Officially referred to by the county as DS-24, Rudyville is a request by developer Rudy Monica to increase the zoning of his 170-acre parcel from one house per ten acres to one home per acre. The last time the Sponsor Group held a public hearing on Rudyville was April 7, 2016. At that meeting not one of the comments provided by the more than 150 attendees were in support of Rudyville. Despite the overwhelming public opposition at the 2016 meeting, the Sponsor Group was unable to vote because of a lack of a quorum due to vacancies and recusals. This time, on March 1, 2018, there will be a vote. Vacancies have been filled, and the current members of the Sponsor Group do not have conflicts of interest that would require recusal. This time, residents of Borrego Springs will have an opportunity to make known their thoughts and feelings about Rudyville through an official vote of their Community Sponsor Group. Although the Sponsor Group is “advisory only” to the county Board of Supervisors, it nevertheless expresses the will of residents who will be impacted by decisions of the Board of Supervisors. Staff from the Department of Planning and Development Services will be present at the March 1st Sponsor Group meeting and are obliged to include the decision of the Sponsor Group as well as the tenor of the public comment in their final report to the Board of Supervisors. As Borregans know well, the votes of our local Sponsor Group do not determine the final outcome of projects that come before the County Board of Supervisors. The vote of the Sponsor Group is not binding upon the Supervisors. After the Sponsor Group takes a vote on March 1st and sends its formal recommendation to the county, there will be two more public hearings that will ultimately determine the outcome of the Rudyville saga. The first hearing will be before the County Planning Commission. The second, and final, hearing (and final vote!) will be before the County Board of Supervisors. Dates for these two hearings have not yet been set, but the earliest possible dates for them are June 2018 and July 2018 respectively, which, in the middle of summer, are not good times for Borregans. And both hearings will be in San Diego, not a convenient location for Borregans. Because many people concerned about Rudyville will not be in Borrego during the summer, or may be unable to travel to San Diego for the hearings, the Tubb Canyon Desert Conservancy has arranged for videographers to be present at the March 1st meeting of the Sponsor Group. These videographers will record the proceedings of the meeting, and they will make a brief video of any member of the community who would like to make a statement to the Planning Commission and to the Board of Supervisors but would not be able to do so in person. These videos of Borregans’ comments will be used to create a “movie” that will be presented at the hearings of the Planning Commission and the Board of Supervisors. For a decade now, the community of Borrego Springs has opposed Rudyville. The Sponsor Group first voiced its opposition in a March 1, 2012 letter to the Department of Planning and Land Use. The Borrego Water District signaled its opposition to Rudyville in its public statement of March 23, 2016. The Borrego Springs Chamber of Commerce elaborated its opposition to Rudyville in a letter to the Department of Planning and Development Services dated April 7, 2016. And now, it appears staff from the Department of Planning and Development Services is poised to formally recommend the “No Project Alternative,” i.e. deny Rudyville’s request for increased density, because of multiple inconsistencies with the General Plan that are described in the Supplemental Environmental Impact Report published in December 2017. Among the many inconsistencies and undesirable impacts of Rudyville are: 1) The Rudyville proposal does not conform to the principles of the General Plan, or the Borrego Springs Community Plan, which prohibits new development on undisturbed desert land. 2) At a time when Borrego Springs is confronting the necessity of reducing water consumption by 70%, the Rudyville proposal would increase residential water demand. 3) Even without Rudyville, at the current rate of sales there is a 30-year inventory of vacant residential lots in Borrego Springs. 4) The abandoned dike to the west of Rudyville that used to partially protect it from flood waters from the Tubb Canyon-Culp catchment areas was breached in the flooding of 2013. 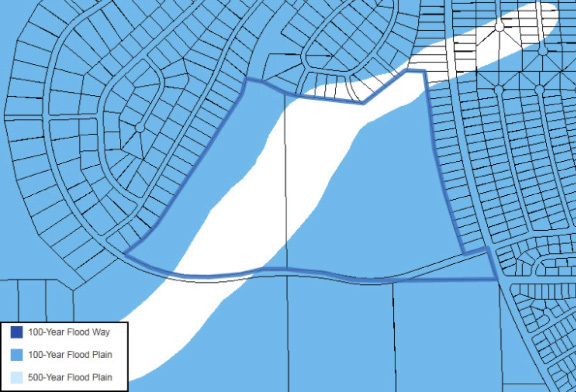 Any attempt at flood mitigation for Rudyville would require the taking of private property adjacent to Rudyville and would be opposed by impacted landowners and by property rights activists in perpetuity. While TCDC continues to make progress on multiple fronts, including beginning Phase II of the search for a biocontrol agent for Sahara mustard, the pressing concern of the moment is Rudyville. Friends and neighbors in the Tubb Canyon area have opposed Rudyville as an ecologic and public policy abomination for more than a decade, providing public testimony and public comment at every possible opportunity. As Rudyville enters the final phase of consideration by county government, it is the focus of this Update. With the County’s publication of the long-awaited Supplemental Environmental Impact Report (SEIR) on December 14, 2017, the saga of Rudyville (referred to as DS-24 by the County) is in the home stretch. The publication of the SEIR sets the stage for public hearings and a vote on Rudyville by the San Diego County Board of Supervisors sometime in 2018. The vote by the County Board of Supervisors will determine whether or not Rudyville will increase its zoning density from one home per ten acres to one home per acre. The SEIR is available in its entirety on the County’s website. The report is not focused on any one of the 41 Property Specific Requests (PSR’s) to amend the County’s General Plan for land use, but rather is a description of the process involved in evaluating the environmental impacts of each of the PSR’s, including Rudyville. The public is invited to comment on the thoroughness and the analyses of the SEIR until February 12, 2018, and may do so by emailing Kevin Johnston or by calling (858) 694-3426. County staff has performed a Herculean task in evaluating the environmental impacts of 41 separate PSR’s located throughout San Diego County. Two of these PSR’s are in Borrego Springs, one of them being Rudyville. County staff has documented the public opposition to Rudyville expressed at a meeting of the Borrego Springs Sponsor Group on April 7, 2016; and they have documented the myriad issues associated with Rudyville’s request to increase its zoning density—its inconsistencies with the General Plan (See Chapter 2.9, Land Use,), its increase in water demand at a time when the community must decrease water usage by 70% (See Chapter 2.8, Hydrology and Water Quality,), its impact on endangered species, its impact on an ancient ocotillo forest, its impact on air quality, the fact that Rudyville lies in a flood plane, the fact that Borrego Springs already has 3000 entitled residential lots and does not need more, etc. Even though the Rudyville PSR has garnered more public input (and outcry) than any of the other 40 PSR’s under consideration, the final determination of Rudyville’s zoning will be a political decision of the San Diego Planning Commission and the San Diego County Board of Supervisors. Because the final determination is a political decision, public participation will be crucial in determining the final outcome. Unfortunately for residents of Borrego Springs, the public hearings before the Planning Commission and the Board of Supervisors will be in San Diego, and most likely will be held during the summer months. The first hearing will be before the County Planning Commission, and could be scheduled as early as June 2018. The exact date has not been set. The County Board of Supervisors appoints the seven members of the Planning Commission who will hear staff reports and staff recommendations, as well as public comments, regarding each of the 41 Property Specific Requests. The Planning Commission will then formulate recommendations to the County Board of Supervisors for each of the 41 PSR’s, including Rudyville. The final public hearing on Rudyville will be before the San Diego County Board of Supervisors. The earliest possible date for this hearing is July 2018; but again, the exact date has not been set. At this meeting the Supervisors will hear recommendations from the Planning Commission as well as input from the public. And then they will vote on each of the Property Specific Requests, including Rudyville. Although public participation at the hearings before the Planning Commission and the Board of Supervisors does not guarantee an outcome, public participation has been noted to be correlated with outcomes. A group of 40-50 people creates a presence to be acknowledged and is distinctly different from leaving public officials with the idea that “no one cares and no one is watching.” A strong showing at both meetings will be crucial in letting the Planning Commission and the Board of Supervisors know that the community of Borrego Springs cares deeply about what happens with Rudyville. The Tubb Canyon Desert Conservancy (TCDC) has opposed Rudyville since its inception, providing public comment and public testimony at every opportunity. TCDC will continue to closely follow Rudyville developments. When meeting dates of the hearings before the Planning Commission and the Board of Supervisors are known, they will be published in the Borrego Sun and on the TCDC website. During the spring of 2018, TCDC will be coordinating efforts to facilitate making the voices of Borregans heard in San Diego. If you would like to receive updates about Rudyville, including hearing dates and actions you can take to make your voice heard, please click here to sign up for the Rudyville Mailing List. When the wildflower fields along Henderson Canyon Rd. were nothing but a thicket of Sahara mustard, when the weed seemed to line every road in town, when it was even growing in the planters at The Mall, a common refrain was, “Why didn’t we do something about Sahara mustard when there were just a few plants instead of the millions we have now?” That was the spring of 2011 when the destructive power of Sahara mustard was on full display, an awesome biological transformation of our desert ecosystem unfolding before our eyes. The take home lesson was the explosive capability of “just a few” Sahara mustard plants. Although Borrego Springs has become the global leader in Sahara mustard genetic research, much remains to be learned (See “The Fight against Sahara Mustard Heats Up,” The Borrego Sun, 2/23/17). We are still several years from having a safe and effective biocontrol agent. So for the moment, we are left to defend our region with surveillance and manual eradication. Our good luck is that over the last four years Mother Nature has lent us a very big helping hand. The last four years of drought suggest Sahara mustard seeds are not as hardy as the seeds of our native winter annuals, e.g. sand verbena, desert lily, desert primrose, and desert sunflowers. So in the spring of 2016, despite the fact Sahara mustard had created an extraordinary seed bank in 2011 in the Henderson Canyon fields, it was not the seeds of Sahara mustard that survived four years of drought, but rather those of our native annuals (See Photo 1). Yes, last year there was the occasional Sahara mustard plant—a few dozen per acre; but not the millions of Sahara mustard plants that had prevented the growth of virtually everything else in 2011 (See photo 2). wildflower fields in 2010. Note the dying creosote bushes. With the drought Mother Nature has effectively turned back the clock to a time when there are “just a few” Sahara mustard plants. Primarily they are in disturbed soils along the shoulders of roads. They can be easily seen along Borrego Springs Rd. There are some along Highway 78 between Tamarisk Grove and the mouth of San Filipe Canyon. There are plants to be found along portions of Country Club Rd. near Sunset and Church Lane. There are plants along Sunset. There was a prodigious stand of Sahara mustard along Palm Canyon Dr. at the airport. There were numerous plants along the shoulders of Highway 78 in San Filipe Canyon. Kudos to the Mustard Busters who have removed those plants! It is particularly important to remove Sahara mustard from along our roadways because these are the plants that produce the seeds that hitch rides on our tires to infest new locations. It is also from these initial road shoulder infestations that Sahara mustard eventually spreads into open desert. Now that you can identify Sahara mustard, pull each plant you find up by its root. If the Sahara mustard plant you have pulled from the soil has not yet begun creating seedpods, you may break off its taproot and leave both the taproot and the leafy portion on the ground. It will not re-root. If the Sahara mustard plant you have pulled from the soil has begun creating seedpods, you must break off the stem containing the seedpods, being careful not to dislodge or inadvertently spread the seeds. Place the stem containing the seedpods into a heavy-duty (3-4 mm) trash bag, 30 gallon capacity or greater. (You will need the larger capacity bags for serious mustard busting of mature plants, each plant capable of creating 15,000-20,000 seeds.) Break off the taproot from the remaining leafy portion of the plant. You may leave the taproot and the leafy portion (without seedpods) on the ground. Large, mature seedpod stems are rigid and can puncture even heavy-duty trash bags. If this happens, place the punctured bag inside a new bag to make sure you are not inadvertently spreading mustard seeds, which are red and tiny, about the size of the head of a pin. When you return home with your heavy-duty trash bags full of Sahara mustard seedpods, inspect your bag(s) to make sure there are no puncture holes. If there are, see #5 above. If there are no puncture holes, pour about a cup of water into the trash bag containing the seedpods. Tightly secure the neck of the bag to make it as air tight as possible. Leave the bag in a sunny location for 7-10 days. Do not open the bag. This process of “solarization” (rotting) will destroy the seeds, making them safe for disposal as ordinary garbage. Repeat steps 1-6 as often as possible! Rudyville (aka DS-24) is one of 41 active Property Specific Requests (PSRs) in San Diego County, each seeking approval from the County Board of Supervisors for proposed Amendments to the County’s General Plan. Most of the PSRs (including DS-24) seek increased housing density. In the case of Rudyville the request is to change the current General Plan designation of the entire 170-acre property from one house per 10 acres (SR-10) to one house per one acre (SR-1). A public hearing in Borrego Springs on April 7, 2016 convened by the Community Sponsor Group demonstrated broad and deep community opposition to the Rudyville Property Specific Request. No one in the overflow crowd of more than 160 citizens spoke in favor of the requested zoning change. As a part of the process of evaluating any request to amend San Diego County’s General Plan, staff members from the Department of Planning and Development Services (PDS) are required by the California Environmental Quality Act (CEQA) to prepare a Subsequent Environmental Impact Report (SEIR) for all PSRs, including Rudyville. These county staff members, who were present at the April 2016 public hearing in Borrego Springs, have incorporated community feedback into their General Plan policy review, and the community feedback will also be reflected in the draft SEIR. CEQA requires SEIRs evaluate a range of alternatives to the original PSR that would avoid or substantially lessen significant environmental effects of the original request. To accomplish this CEQA requirement, county staff has prepared such an Alternative for DS-24 that would re-designate only the 20 northeastern-most acres of Rudyville to SR-1 and leave the zoning for the remainder of Rudyville unchanged at SR-10 (See Map 1). This 20-acre Alternative was deemed to be less environmentally impactful because it is largely on top of the relic sand dune that runs through Rudyville and thus is mostly outside the 100-year flood plain (See Map 2). This Alternative is considered to be in “draft” form at this point in the process, and it is not a PDS staff recommendation for DS-24. County staff anticipates finalizing all the Alternatives for each of the 41 PSRs, including Rudyville, by March 2017, allowing them to have the draft SEIR ready for public review/comment later in the spring of 2017. County staff will make known their formal recommendations on each of the PSRs in late summer or early fall of 2017. Once finalized, the draft SEIR will represent “new information” in the amendment process; and, as such, it will be subject to public review. The Borrego Springs Community Sponsor Group will have the option of holding another public meeting on Rudyville to consider and comment on this new information. It will also have another opportunity to pass an official recommendation on DS-24. Due to abstentions at the April 2016 hearing, the Community Sponsor Group did not have the required quorum to pass an official recommendation. Public hearings at the county level on all the PSRs will begin with hearings before the County Planning Commission in the fall of 2017. The County Board of Supervisors appoints the seven members of this Commission. These hearings will be held at the County Operations Conference Center at 5520 Overland Avenue in San Diego. The date and time have not yet been determined. The County Board of Supervisors, which will have the final word on these requests for amendments to the General Plan, is expected to take up the matter at the end of 2017. The Board of Supervisors will be provided information and recommendations from Community Planning Groups, Community Sponsor Groups, PDS staff, as well as from the County Planning Commission; however, individual supervisors are not constrained by any of these recommendations and are free to vote as they wish. The public will have opportunity to provide further comment on Rudyville at the public hearings that will be scheduled in 2017. In the meantime, members of the public are welcome to contact Kevin Johnston, Land Use/Environmental Planner in the Department of Planning and Development Services, with comments or questions. He may be reached at kevin.johnston@sdcounty.ca.gov or (858) 694-3084. The 170-acre Rudyville (aka DS-24) property is outlined in red. Rudyville’s original Property Specific Request is to rezone the entire 170 acres from one house per ten acres to one house per one acre. The CEQA-required Alternative shown in the map would only rezone the 20 acres shown in yellow. The 170-acre Rudyville property is outlined in dark blue. The white section running through the middle of Rudyville follows the general location of the relic sand dune, which is mostly above the 100-year Flood Plain. On Thursday, April 7th 2016, approximately 163 persons attended the meeting of the Community Sponsor Group held at the Borrego Springs High School. Staff from the San Diego County Department of Planning & Development Services attended this Public Hearing to receive public testimony regarding the “Rudyville” (aka Borrego County Club Estates, DS-24) Property Specific Request (PSR) for a General Plan Amendment (GPA) to increase the housing density of Rudyville from one house per 10 acres to one house per one acre. Though most Sponsor Group meetings scheduled for weekday afternoons attract only a handful of attendees, there was standing room only in the High School’s Community Room on April 7th, with an overflow of attendees sitting on the floor and outside on the lawn. A show of hands at the beginning of the meeting revealed the attendees were unanimous in their opposition to Rudyville. No attendee spoke in support of Rudyville; and those attendees who did speak expressed passionate reasons for opposing an increase in housing density for Rudyville. Staff members from the County’s Department of Planning and Development Services—Kevin Johnston, Land Use/Environmental Planner, and Noah Alvey, Planning Manager—were present at the meeting to brief the Sponsor Group and public about the Property Specific Request process, to hear comments from the public, and to answer questions. They reminded the crowd that in July 2012 the County Board of Supervisors directed County staff to analyze 43 Property Specific Requests (PSR’s) spread throughout San Diego County. Two of these PSR’s are located in Borrego Springs: one is Rudyville, DS-24; the other is DS-8, which is a large parcel between Borrego Springs Road and Di Giorgio Road, just west of the Roadrunner Club. Rudyville was by far the primary focus of concern and opposition at the April 7th meeting. Several community organizations opposed to Rudyville advocated the preservation of the entire ocotillo forest, relict sand dune, and seasonal desert stream located on the Rudyville site. Betsy Knaak, representing the Anza-Borrego Desert Natural History Association (ABDNHA), noted the Rudyville parcel encompasses perhaps the oldest, most dense, and publicly accessible stand of ocotillos in the entire desert Southwest. The Anza Borrego Foundation (ABF) and Anza-Borrego Desert State Park asserted that the Rudyville site provides an important buffer zone and wildlife habitat associated with the nearby state park. The Borrego Springs Chamber of Commerce emphasized the fact that there are already thousands of existing lots in Borrego Springs and that any future residential development should occur on disturbed, fallowed agricultural grounds, not pristine desert habitat. Lori Paul, speaking on behalf of the Tubb Canyon Desert Conservancy, revealed that a 2008 investigation of County records by Tubb Canyon residents discovered a massive flood control project concealed within Rudyville planning documents. At least 60% of the Rudyville site is located in a floodplain, necessitating the construction of a major concrete diversion dam, a debris basin, and flood control channels on neighbors' properties that would be taken by eminent domain. Construction of such a dam and flood channels would deprive adjacent properties, including State Park lands, of naturally occurring seasonal water flows and would increase the flow and alter the direction of flash floods across Borrego Springs Road. Local residents would be forced to pay for the extensive flood diversion structures through a special “Geologic Hazard Assessment District” fee added to their property tax bills. It was noted that Rudy Monica failed to mention this dam and water diversion channel system during any of his original versions of the subdivision presented at past Sponsor Group meetings. Several attendees noted Borrego Springs has had a surplus of vacant building sites and houses for sale over many decades, including in the vicinity of Rudyville. Additional graded lots would adversely impact the value of existing private properties by creating an even larger surplus of building sites in a small, economically challenged community. Members of the Borrego Springs Community Sponsor Group do not support the increase in zoning density for Rudyville; however, because two of the five members of the Sponsor Group recused themselves from a vote due to potential conflicts of interest, the Sponsor Group lacked a quorum and could not offer a formal decision to the San Diego County Planners. Members who recused themselves were: Tom Beltran, Sponsor Group Chairperson, who owns a home adjacent to the proposed Rudyville site; and Rebecca Falk, a realtor who stated she is currently involved in a property transaction associated with Rudy Monica, the lead promoter of Rudyville. County planners will incorporate testimony from this Public Hearing as part of the Environmental Impact Report (EIR) they were instructed to create by the County Board of Supervisors in July 2012. Planners expect this EIR will be completed at the end of 2016 or the beginning of 2017. Once completed, the EIR will represent “new information” and as such will be open…again…to Public Comment and review by the Community Sponsor Group. Eventually the completed EIR will be presented to the San Diego County Planning Commission where there will be another Public Hearing, probably at the end of 2017. The Planning Commission will make a final recommendation to the Board of Supervisors who will have a final vote on the matter at the end of 2017 or the beginning of 2018. Planners urged the community to send in their comments and to keep involved during each phase of this lengthy process. The Public Hearing for the “Rudyville” Property Specific Request (PSR) for a General Plan Amendment (GPA) will occur at a meeting of the Community Sponsor Group on April 7, 2016 at 4:30PM in the Community Room of the Borrego Springs High School. The owners of Rudyville are requesting the County amend its General Plan to increase allowable housing density of Rudyville from one house per 10 acres to one house per one acre. Rudyville, aka Borrego Country Club Estates, aka (DS-24), is a 170-acre parcel northwest of the intersection of Borrego Springs Rd. and Country Club Rd. This parcel is located in the flood plain of Tubb Canyon and is home to an ancient ocotillo forest, a relic sand dune, and endangered species habitat. Burrowing owls are on the parcel. The owners of Rudyville intend to grade the sand dune, remove the ocotillo forest, and sell vacant lots. Scraping the desert in this high wind area would create serious particulate dust pollution for downwind residents. This meeting of the Sponsor Group will be an important opportunity for all members of the community to provide public testimony about this request to change zoning. County Staff will be present to take testimony, as well as to present the staff’s analysis of the PSR and to answer questions. Kevin Johnston, Land Use/Environmental Planner, will be at the meeting and is available prior to the meeting to answer questions and/or provide background information to any interested person. He may be reached by phone at (858) 694-3084. Groundwater Geologist, Jim Bennet, and Planning Manager, Noah Alvey, will also be present. Anyone interested in viewing the numerous public comment letters regarding Rudyville that were submitted during the comment period that ended February 4th may do so on the County’s website at http://bit.ly/1TPrl5F. In June 2012 the County Board of Supervisors directed County staff to analyze 43 “Property Specific Requests” (PSRs) spread throughout San Diego County. Two of these PSR’s are located in Borrego Springs. One is Rudyville. The other is DS-8, which is a 170-acre parcel between Borrego Springs Road and Di Giorgio Road, just west of the Roadrunner Club community. Both Rudyville and DS-8 will be considered at the April 7th meeting. The Tubb Canyon Desert Conservancy (TCDC) views this zoning change request for Rudyville as a step toward unnecessary residential development of pristine desert habitat located miles from the village core. This development is within the scenic viewshed of the Tubb/Glorietta Canyon Bajada and the adjacent Anza Borrego Desert State Park, as seen from Crawford overlook, Montezuma Grade and many other areas. TCDC has enumerated its objections to this development in its public comment letter that may be viewed at http://bit.ly/1R4q70I. TCDC urges all members of the community who have an interest or concern regarding this development to attend this very important public hearing. This is the time to make your voice heard! It has been a busy year at the Tubb Canyon Desert Conservancy. As you may recall, the end of 2014 found TCDC expanding its advocacy role beyond addressing the threat of Sahara Mustard. The new area of advocacy for TCDC is protecting desert habitat from becoming “sacrifice zones” for utility-scale renewable energy projects and the giant transmission lines that would connect those facilities to coastal urban centers far from the point of electrical generation. Massive renewable energy projects destroy fragile desert ecosystems; generate particulate air pollution where large areas of desert are cleared of vegetation for installations; consume precious groundwater resources (or utilize polluting water truck deliveries) for frequent cleaning of solar panels (required for optimal output), and adversely impact desert vistas. Specifically, TCDC provided opposition to a state and federal project knows as the Desert Renewable Energy Conservation Plan (DRECP) that proposed to cover 22.5 million acres in California and nearly 300,000 acres in eastern San Diego County. The DRECP would have “fast tracked” innumerable renewable energy projects in what many plan proponents consider to be the “vast, empty wastelands of the desert.” Despite years of delay, this 8000-page plan was ill-conceived. A fundamental problem with the plan was that it explicitly did not consider the possibility of siting renewable energy sources on existing urban rooftops close to where the electricity was needed. TCDC cast light on this deficiency in its November 2014 public comments to the California Independent Systems Operator (PDF). TCDC was one of the thousands of strong voices that slowed the DRECP juggernaut. In the face of such opposition, the DRECP was forced to “regroup” and devise an alternative strategy. It is currently pursuing a “phased approach,” which unlike the DRECP, will allow more time for public consideration of the siting of utility scale renewable energy generating facilities. The challenge of balancing our need for increased electricity generation from renewable sources with our need for preserving fragile desert ecosystems is far from over, but it is clear that our collective voices can have a powerful impact on this ongoing process. Thank you to those who have participated in attempts to defend fragile desert resources. Stay tuned for future developments and opportunities to take action! This year’s AmeriCorps team was instrumental in assisting TCDC and the University of California, Irvine (UCI) to produce the first meeting of the Biodiversity and Invasive Species Network (BISN) that was held at the Steele Burnand Anza-Borrego Desert Research Center on January 30, 2015. The last three years of drought have been difficult in California, including in the deserts. However, the drought has created conditions for a “natural experiment” with Sahara Mustard. For years we have had anecdotal information that the Sahara Mustard seed bank (seeds an annual plant leaves in the ground until the next growing season) has a “shelf life” of three years in the desert. This means if the seed bank is not replenished each and every year, most Sahara Mustard plants will be gone by the third year. Because the drought prevented Sahara Mustard from germinating and growing to any great extent over the last three years, we have been positioned to observe what would happen in places like the highly mustard-impacted wildflower fields of Henderson Canyon. Four years ago, wildflowers had almost disappeared into dense fields of Sahara Mustard; however, in the drought-stricken last 3 years, there have been far fewer mustard plants. The results are in: this year, in the spring of 2015, wildflowers were back in Henderson Canyon and there was very little Sahara Mustard! By “very little,” there were perhaps 20-30 Sahara Mustard plants per acre as opposed to the thousands of plants per acre in the 2010-2011 growing season. These circumstances set the stage for this year’s AmeriCorps team to organize the largest volunteer effort to date to remove Sahara Mustard from the wildflower fields along Henderson Canyon Rd. It was called The Big Pull and covered hundreds of acres because of the relatively few Sahara Mustard plants per acre to be found this year. Although confirmation of a “short shelf-life” for the Sahara Mustard seed bank in the ground is good news, it does not mean our work is done. If AmeriCorps and teams of community volunteers had not removed the few Sahara Mustard plants that were to be found in Henderson Canyon this year, those few plants would have germinated next season and produced enough seed to spawn a future bumper crop of Sahara Mustard the following year, given conducive conditions. Vigilance and removal of the Sahara Mustard plants that do pop up season to season continues to be essential if we are to rid selected areas of this invader and defend our perimeter into the future. Despite this year’s good news about the natural limits of the Sahara Mustard seed bank, the long-term solution to the invasion of our deserts by this pernicious plant remains in the realm of finding a viable biocontrol agent. I am happy to report that our efforts in this direction are well underway. This year UCI graduate student, Daniel Winkler, traveled over 10,000 miles in the United States Southwest collecting over 2000 samples of Sahara Mustard as part of Phase I in a three-phase endeavor to locate a biocontrol agent. DNA has been extracted from the Sahara Mustard samples and is currently being sequenced. The data produced from the sequencing will enable us to determine where and approximately when (and perhaps how many times) Sahara Mustard was introduced into the USA. For more information about this project, please read TCDC’s white paper, “Seeking Biocontrols to Enable a Long-term Solution for Sahara Mustard (Brassica tournefortii) Invasion in North American Deserts” As we continue this project, we look forward to meeting with our colleagues from the USDA’s European Biologic Control Laboratory to plan for Phases II and III. I am filled with gratitude for all the efforts made by so many people over the past year who have made all of the above progress possible. The list is long and includes our colleagues at the University of California, Irvine; the Anza-Borrego Foundation; Anza-Borrego Desert State Park, AmeriCorps NCCC; the Desert Protective Council; San Diego Natural History Museum; the USDA European Biologic Control Laboratory, and all of the generous TCDC board members, volunteers, and supporters. Anza-Borrego Desert Call to Action! The DRECP (the Plan) has been 5 years in the making and is 8000 pages in length. The Plan covers 22.5 Million acres of Southern California, 268,000 acres of which are in San Diego County (See attached map) It is the work product of the US Department of the Interior, the Bureau of Land Management, the California Energy Commission, the California Department of Fish and Wildlife, the California Department of Parks and Recreation. Environmental supporters of the Plan include The Nature Conservancy, the Sierra Club, and the Center for Biological Diversity. It is, of course, supported by the major utilities: Sempra, PG&E, and Southern California Edison. As diverse as the above agencies and organizations are, this is only a partial list. The entire list may be found at the DRECP website. The intention behind the Plan is indisputably laudable: California will lead the nation in addressing climate change by developing substantial electrical generating capacity from renewable sources such as solar, wind, and geothermal. On a hot summer day, California is projected to need 50,000 to 60,000 megawatts of generating capacity to meet demand. The Plan clears the way for 20,000 megawatts of that capacity to come from renewable sources in our deserts. The good news is there is a new paradigm: an alternative to the course charted by the Plan. The new paradigm is called in-basin, distributed generation, aka rooftop solar. In the five years it has taken to create the “draft” DRECP there have been significant advances made in rooftop solar technology. Prices have decreased and efficiencies have increased. This past July, UCLA’s Luskin Center published a report estimating the amount of generating capacity that could come from rooftop solar just in the Los Angeles area alone is over 19,000 megawatts. Although the Luskin Report did not estimate the generating capacity that exists on roofs in San Diego County, it is reasonable to conclude there would be much more than 1000 megawatts of rooftop capacity in San Diego, thereby equaling, and easily exceeding, the generating capacity goal of 20,000 megawatts of the DRECP. The chief advantages rooftop solar are: 1) it would eliminate the need to “sacrifice” millions of acres of desert habitat to build “utility-scale” generating plants, 2) because it generates electricity where it is used, rooftop solar would eliminate the need for giant transmission lines that lose electricity every mile along their lengths, 3) rooftop solar would eliminate the unintended consequences associated with utility-scale generating plants sited in the desert that we are only now beginning to learn about such as dust storms arising from scraped desert habitat, utilization of excessive amounts of ground water, and the inevitable “taking” of endangered species and other wildlife as is occurring at Ivanpah. The DRECP dismisses rooftop solar by putting it in a category called “Alternatives Considered but not carried forward for Detailed Analysis.” The reason given for not doing a detailed analysis of rooftop solar is because doing so would not “provide a streamlined process for the development of utility-scale renewable energy…” (Vol. II, Section 8, Page 9). Thus, the Plan rejects rooftop solar from consideration not because of technical problems, not because of cost, not because it could not meet electrical generation goals, but because it would not lead to the creation of utility-scale production facilities. This rationale implies that anything that does not result in the creation of utility-scale generation facilities is in actuality not an alternative at all. If you see problems with that logic, try this one: another reason for rejecting in-basin, distributed generation (rooftop solar) is because doing so would not “conserve biological, physical, cultural, social, and scenic values” because it “would not identify and incorporate public lands managed for conservation purposes…” Additionally, the rooftop solar alternative would not “provide for the long-term conservation and management of Covered Species.” (Vol. II, Section 8, Page 9). The perverse rationale implied by the above reasoning is that we cannot pursue conservation goals unless we are simultaneously “sacrificing” millions of acres of desert habitat. Our friends at the Sierra Club, The Nature Conservancy, etc. have valiantly tried to make the best of a difficult situation—that difficult situation being that it was a foregone conclusion at the beginning of the process 5 years ago that millions of acres of desert habitat would be sacrificed for utility-scale generation facilities. Our friends have tried to conserve what they could, but they bought the embedded assumption that utility-scale plants in the desert were inevitable. They drank the Kool-aid. One unfortunate outcome of the efforts of our environmentalist friends is that politicians and agency bureaucrats can now say, “The environmental community is really behind this Plan.” And they do say it. Often. The only thing now standing in the way of the “draft” DRECP becoming our lived reality is you. The Plan was published at the end of September and is taking public comment through January 9, 2015. Without significant input from the public, from you, this juggernaut will proceed relentlessly, sacrificing millions of acres of desert habitat, wasting precious groundwater, degrading air quality, and “taking” endangered species and other wildlife. A document of this length (8000 pages) and complexity cannot be adequately reviewed and evaluated by the public within the standard 90-day timeframe. This is an extraordinarily complex document that demands an extended period for public review—360 days—if the public process is to remain credible and not just a pro forma charade with a foregone conclusion. There are 10 public hearings scheduled between October 20th and November 13th. San Diego’s hearing occurred on October 21st, less than 30 days after the publication of the 8000-page document. There should be another round of public hearings beginning 180 days after the publication of the Plan, i.e. the end of March 2015. This would give communities throughout the state time to digest and evaluate what the Plan means for them. Borrego Springs is the largest community, and only community of any size, in San Diego County that is actually within the boundaries of the Plan. (See attached map.) There should be a public hearing in Borrego Springs. Rooftop solar technology has progressed significantly during the five years since the Plan was initiated. Given these advances, rooftop solar should be “brought forward for detailed analysis” on its technological and economic merits, rather than being dismissed because it is not utility-scale production in the desert. State and federal agencies have made their views known in this Plan. So have the utilities and the large conservation organizations. Now it is your turn. It is Labor Day and the temperatures in Borrego Valley remain in the triple digits. During July and August, the monsoonal pattern of afternoon thunderstorms visited the Anza-Borrego Desert and surrounding mountains, causing sporadic local flooding. Fortunately, the temperatures have been too high for the moisture to trigger germination of invasive Sahara Mustard (Brassica tournefortii). The same cannot be said for the biting valley black gnats that have once again made their presence felt in the desert. Ouch! The last three years have set the stage for a vast experiment involving Sahara Mustard. If you have been reading these updates, you will remember the anecdotal reports of the Sahara Mustard seed bank being particularly short-lived. Specifically, numerous reports have indicated that in areas where Sahara Mustard was not allowed to replenish its seed bank for three consecutive years, the species was effectively eliminated from that area. The last year in which Sahara Mustard had a banner year was the 2010-2011 growing season. The picture below taken in 2010 along Henderson Canyon Road attests to Sahara Mustard’s profusion and its devastation of the native wildflower fields that year. Since then, however, lack of moisture and high temperatures have conspired to prevent Sahara Mustard from germinating in the vast numbers that it did in 2010-2011. The wildflower fields along Henderson Canyon Road have not seen a profusion of Sahara Mustard for the last three years. Nor have they seen a wildflower bloom, for that matter, also due drought conditions and high temperatures. Anza-Borrego Desert before take-over by Sahara Mustard. This is not to say that Sahara Mustard has been eliminated from Anza-Borrego Desert State Park. There are numerous areas, particularly in the south end of the park, where temperature and moisture was sufficient to allow the germination and growth of Sahara Mustard plants. Additionally, scattered Sahara Mustard was found this year in Coyote Canyon, Sentenac Canyon, and Henderson Canyon just north of de Anza. The good news is that the numbers of Sahara Mustard plants have been relatively small this year; and many (most?) of those plants were removed by volunteers and our AmeriCorps team before they could produce seeds, thus setting the stage for the current grand experiment. If our hypothesis is correct—that the Sahara Mustard seed bank becomes depleted after three years of not being replenished by seed production—and if moisture and temperature are conducive to wildflowers (as well as to Sahara Mustard which appears to need very similar conditions), we would expect to see a fantastic display of native wildflowers this spring along Henderson Canyon Road. Let us cross our collective fingers. If our three-year hypothesis is not correct, and we see Sahara Mustard springing up in vast numbers along Henderson Canyon Road after three years of not replenishing its seed bank, then the critical importance of our nascent biocontrol effort will be underscored.  More regarding the biocontrol effort will be included in the next update. 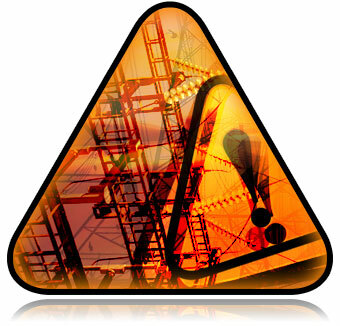 Given TCDC’s focus on Sahara Mustard during the last three years, many may be surprised to learn that the idea of creating TCDC grew out of the battle to stop Sunrise Powerlink. Neighbors in the Tubb Canyon area came to believe the growing number of challenges involved in defending the community and the Anza-Borrego Desert State Park from significant damage—whether from an invasive species or from human- generated projects such as the Sunrise Powerlink and the Ocotillo Wind Farm—far exceeded what any individual could do alone. TCDC was subsequently created as a vehicle for focusing the efforts and energies of all members of the Anza-Borrego Desert community who are interested in preserving the environment and quality of life that draw so many to the region, as tourists, residents, snow birders and retirees. As most know, TCDC’s efforts to date have been focused on addressing the ecological disaster caused by Sahara Mustard—a threat to the great biodiversity of our region, as well as a threat to tourism and to the local economy. However, today there is yet another assault on the horizon similar to the threat that initially founded TCDC. The closing of the San Onofre Nuclear Generating Station (SONGS) has, according to the California Energy Commission, created a “critical need” for new 500 kV transmission lines in southern California. As a result, the California Energy Commission tapped Aspen Environmental (the same consultants who worked on the Sunrise Powerlink) to create a Feasibility Analysis of new, 500 kV transmission lines through our region. One of the proposed lines goes right through the heart of Anza-Borrego Desert State Park. This Feasibility Analysis was published in May 2014. You may read it in its entirety by clicking here. TCDC believes that running 500 kV lines through the heart of the State Park, whether overhead or underground, will compromise the integrity of the Park, an incredible asset placed in the public trust. The Analysis itself notes that if such a transmission line were constructed there would be loss of view shed in and around scenic regions and designated wilderness areas, negative impacts on big horn sheep and other “sensitive” species, construction noise and traffic, and “corona noise” in remote and quiet areas. TCDC will be opposing as vigorously as possible, and as early as possible, the siting of 500 kV transmission lines through the Anza-Borrego Desert State Park. If you are interested in participating in this opposition, please add your name and email address to the TCDC listserve to receive the latest information. As always, your financial support of this effort can be made online. Together we can make a difference. We have done it before and we can do it again. The AmeriCorps Silver 6 Team has arrived in Borrego Valley and Anza-Borrego Desert State Park (ABDSP); it must be springtime! Tubb Canyon Desert Conservancy and our co-sponsor, the Anza-Borrego Foundation (ABF), are pleased to host a National Civilian Community Corps (NCCC) AmeriCorps team for the third year in a row. AmeriCorps Silver 6 Team is comprised of seven exceptional young persons, ages 18-24. They left their headquarters in Sacramento, California, on January 15th, arriving in Borrego Springs the next day. On Friday, January 17th the team attended orientation about the Anza-Borrego Desert and projects they will be working on for the two months they are with us. ABDSP Ranger Steve Bier instructed the team in desert safety, and Larry Hendrickson introduced the team to three invasive species of concern in and around the state park, including Sahara Mustard. The team was treated to the now "traditional" lunch at Calico's, followed by a "hands-on" introduction to desert flora, including invasive species such as Sahara Mustard and fountain grass. Orientation day ended with a get together and delicious dinner for the team and hosts at the de Anza Country Club. Welcome Silver 6! Given the extensive flooding of August and September 2013, there was reason to believe this year might yield an abundant crop of Sahara Mustard, comparable to the 2010-2011 season, particularly within flash flood washes and inundated flood plains. Fortunately, the temperatures last fall were too high to promote mustard germination; and now, four months later, there is insufficient moisture for a "bumper crop" of mustard. This constellation of circumstances puts us in a very interesting position, as this could be the third consecutive season in which Sahara Mustard fails to replenish or advance its seed bank. Although the rigorous scientific studies have not yet been done, available anecdotal information indicates the Sahara Mustard seed bank degrades dramatically in the space of three years. This relatively short "shelf life" of Sahara Mustard seeds contrasts greatly with the seeds of native winter annual wildflowers and some short-lived perennial plants that have been shown to remain viable in the ground for decades. Perhaps weather is setting the stage for a collapse of the Sahara Mustard seed bank and the return of our beautiful winter and spring wildflowers. Time and weather will tell. So far this spring, there is little in the way of Sahara Mustard to be found across Borrego Valley or the state park. There have been sightings of mature, healthy mustard plants in all of the main desert washes in Borrego Valley (outflows of Coyote, Glorietta, Palm, and Tubb canyons), but the number of plants is minimal compared to the bumper crop of the 2010-2011 season. There has yet to be a sighting of Sahara Mustard in the open desert where there has been little or no rainfall or abundant flood water. All of the above is good news to those of us working for the demise of Sahara Mustard. The few Sahara Mustard plants in the valley are directly in the sights of AmeriCorps' Silver 6 Team and the many volunteers monitoring the washes and "all the usual places." If the current dry conditions continue, Sahara Mustard will not be able to produce a massive seed distribution again this season, raising the possibility of a dramatic, multi-season depletion of its seed bank. If we are lucky in the sense that Sahara Mustard is unable to replenish its seed bank in this third, and hopefully critical, year, the war will not be won; but we will be in a vastly improved position to remove subsequent plants that will appear in future years. It will be like turning the clock back... five years?... ten years?...to that time when this invasive plant could be numbered in the thousands instead of the millions. We have demonstrated we have the resources to deal with the thousands. It is the millions that present a tougher challenge. We remain grateful for your support of TCDC's efforts. Together, we have made a difference. 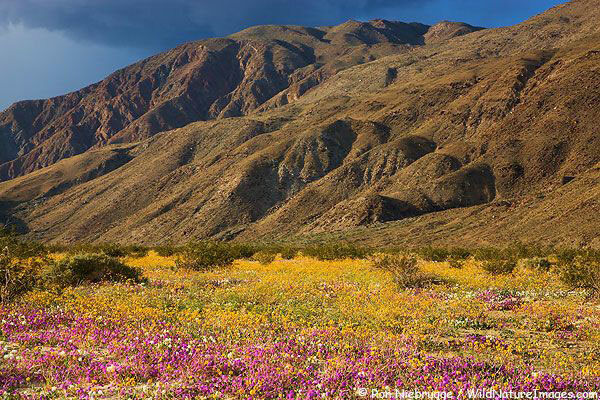 We will continue our work to restore the wildflower fields and protect the irreplaceable Anza-Borrego Desert. Although it looked for a while as if the 2012-2013 Sahara Mustard growing season would replicate the explosion of invasive mustard we saw in the Borrego Valley during the 2010-2011 season, the threatened profusion of Sahara mustard did not materialize this past spring. We dodged another bullet! The lack of timely rain and high temperatures were not to the liking of germinating Sahara mustard, or to the liking of most native wildflowers for that matter. The Sahara Mustard plants that did sprout were few and far between, generally very small, and produced few seeds. By germinating earlier than most native plants, the Sahara Mustard seedlings caught the brunt of the adverse conditions. For those locations in the valley where Sahara Mustard did germinate, AmeriCorps Blue 6 team, under the leadership of TCDC and the Anza Borrego Desert State Park, moved in to eradicate those plants. The areas producing the most Sahara mustard this year tended to be in the natural arroyos and canyon drainages (e.g. Tubb Canyon Wash, Palm Canyon Wash, Plum Canyon Wash, etc.) and along the shoulders of some roads such as S-22. You can see some of the locations the Blue 6 team worked by clicking on the TCDC Mustard Map. The AmeriCorps Blue 6 team arrived in Borrego Springs on April 2nd and set up camp in Mongolian yurts located in Palm Canyon Campground. Not to be outdone by their predecessor team from last year, Silver 5 team, the members of Blue 6 also encountered hurricane force winds within the first week of their arrival. During the night, Blue 6 team watched 90+ mph winds take down the three yurts that had survived last year’s winds. Fortunately the three newer, reinforced yurts where the team was staying survived this year’s winds. Blue 6 team departed Borrego Springs on May 24th after a farewell dinner, having made a huge dent in the population of Sahara Mustard plants that had germinated in the areas where they worked. Read about the remarkable members of Blue 6 and their adventures in the Borrego Valley on the AmeriCorps Team 2013 News page. In early July TCDC received notice that it had been selected as the 2013 AmeriCorps National Civilian Community Corps (NCCC) Pacific Region Sponsor of the Year. This was a totally unexpected and special honor. At the AmeriCorps NCCC Pacific Region graduation ceremony on July 23rd in Sacramento I had the pleasure of receiving the award on behalf of TCDC, the Anza-Borrego Foundation (ABF), and the folks in the Borrego Springs community who had contributed so generously of their time and effort to make the program a success. Even though summer is ending in most parts of the country, the temperatures remain in the triple digits in the Anza-Borrego Desert. The monsoonal rains and associated flash floods of August have begun, and it is not clear what ground moisture this early in the 2013-2014 season might do vis-à-vis Sahara Mustard. There are reports in the literature of Sahara Mustard germinating after autumn rains and along flash flood channels. If that were to happen however, the nascent plants may not survive subsequent high temperatures. What we observed in May of this year is that triple digit temperatures are often fatal for young Sahara Mustard plants long before they are able to produce seeds. Timing is everything. We have observed that the desert can prove inhospitable even to Sahara Mustard! During the end-of-summer quiet time, TCDC is gearing up for the next growing season, 2013-2014. Again in partnership with ABF,we hope to sponsor another team from AmeriCorps during the January – March timeframe. We continue to forge relationships with friends and colleagues at the University of California, Cooperative Extension; the University of California, Irvine; and the Steele / Burnand Desert Research Center. And, while we continue to focus on our “ground game” of removing Sahara Mustard from specific areas of public and private lands in the Borrego Valley, TCDC remains eager to explore and support the much larger goal of discovering methods for eradication of Sahara Mustard across the entire desert Southwest. Use the TCDC website to learn how to recognize Sahara Mustard in its various stages of development. Teach one friend what you have learned about Sahara Mustard, and ask that friend to teach one more. Ask everyone who has learned about Sahara Mustard to “adopt” a patch of land somewhere in the valley. Your patch can be along a roadway, in a neighborhood, or at a church or school. Once you have adopted your patch, go to the TCDC website and put it on the Mustard Map so others can begin to coordinate their efforts with you. In this way we can begin to develop a volunteer patchwork of eradication projects throughout the valley. Preliminary research from the University of California, Cooperative Extension indicates that if Sahara Mustard plants in an infested area can be prevented from producing seeds for three consecutive seasons, the seed bank in that area becomes depleted and that area is essentially free of Sahara Mustard. Although we may not yet have enough “mustard busters” to cover the entire Borrego Valley, there are already hundreds working toward this goal. I hope you will join this effort in any way you can. I remain grateful for your support of TCDC's efforts. Together, we are making a difference. Sahara Mustard sprung up in the last few weeks of February across the Borrego Valley! The spring of 2011 saw an explosion of Sahara Mustard throughout the valley. In the spring of 2012 we essentially got a free pass due to arid conditions. No such luck this year, and depending on rainfall and temperatures in the next couple of weeks, we could see a repeat of 2011. Given that Sahara Mustard seeds are spread largely by human activity it is no surprise that seedlings can be seen springing up along the shoulders of most roads and pathways, including Borrego Springs Road, Henderson Canyon Road, DiGiorgio Road, and Borrego Valley Road. Sahara Mustard’s preference for sprouting in “disturbed soils” explains its appearance on the shoulders of roads and also in washes such as Borrego Palm Canyon and Coyote Canyon. For now, the best response to keep Sahara Mustard from invading even more desert habitat is to pull it before it has time to produce seeds. This means pulling it out of the ground while it is still just a rosette of 5 or 6 leaves or even after it has raised a central stalk and has begun to flower. In these early stages of development Sahara Mustard can be easily pulled out of the ground, the taproot broken off, and the remains left on the desert floor. Each plant destroyed in this fashion represents up to 15,000 seeds that will never come into existence to spread across the wildflower fields. Later in the season, after the plant has flowered, produced seed pods, and the seeds have ripened to a scarlet red, it is still useful to remove Sahara Mustard. When such mature plants are pulled out of the ground they must be carefully placed in heavy duty plastic bags for disposal, taking care not to spread pods or seeds around in the process of pulling, bagging, and disposing. 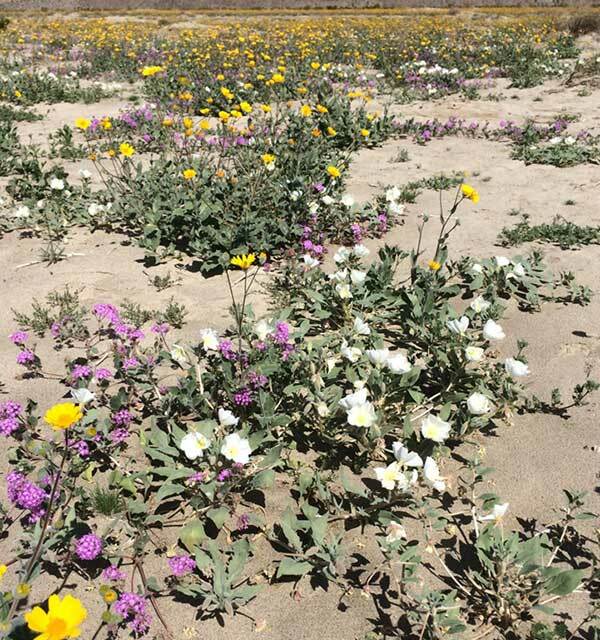 The survival of the Anza-Borrego Desert’s wildflowers and wildlife depend upon all of us. The Tubb Canyon Desert Conservancy (TCDC) quietly celebrated its first birthday this summer—June 6th. As with all newborns, TCDC was busy in its first year—learning to take its first few steps and utter its first words. I hope you will bear with this proud parent as I describe some of the developmental milestones TCDC achieved in its first year. TCDC was organized by Tubb Canyon Bajada neighbors and conceived as an organization that would allow individuals, families, foundations, service organizations, etc. to coordinate and focus their efforts to meet the threat posed by Sahara Mustard to the Borrego Valley and, by its efforts in the Anza-Borrego Desert, help stop this highly destructive species across the entire desert Southwest. To fulfill its mission, TCDC has developed three main areas of focus: education, research, and the eradication of Sahara Mustard. The following paragraphs describe TCDC’s first steps in each of these areas. Beginning with education, in September 2012 TCDC launched the most comprehensive, informative website on the Internet dedicated to the issue of Sahara Mustard (www.tubbcanyondesertconservancy.org). When you navigate to the Sahara Mustard tab you will find more information about Sahara Mustard than perhaps you ever wanted to know—descriptions and pictures of Sahara Mustard in its various stages of development, as well links to the most recent academic research. If you tire of learning about Sahara Mustard, you can navigate to the Desert Gallery tab for stunning photos of desert landscapes, wildflowers, and wildlife that illustrates the natural beauty and biodiversity TCDC is striving to protect for future generations. TCDC’s website has been lovingly designed by board member Lori Paul and webmaster Jeffrey George, both of whom have dedicated countless hours to its nourishment and well-being.With regard to research, TCDC was able to provide a grant to researchers at the University of California, Cooperative Extension to investigate best practices for the eradication of Sahara Mustard. This research was scheduled to occur in the 2011-2012 growing season; but because winter annuals, of which Sahara Mustard is one, did not germinate and grow in sufficient enough numbers this past spring, the research was postponed until the 2012-2013 growing season. As a prelude to future research TCDC has, in its first year, developed a web-based application for smartphones that allows “citizen scientists” to map their sectors of the Borrego Valley with information about the presence or absence of Sahara Mustard. You may find this tool at Mustard Map App. Anyone with a smart phone can now report the status of any particular area with regard to Sahara Mustard. They can describe whether or not mustard has been removed and whether or not the area will be monitored for the appearance of mustard in the future. The results of the data collected by citizens can be viewed on TCDC’s Mustard Tracking Map. under the Sahara Mustard tab. If it takes a village to raise a child, then it takes a whole community to grow and develop a successful non-profit conservancy such as TCDC. In its first year TCDC reached out to the community, and the community reached back with incredible generosity and care. The generosity has taken many forms, ranging from direct financial support of individuals and foundations to the many businesses and organizations in Borrego Springs who have supported our efforts with in-kind donations. You can see the names of many of TCDC’s early supporters if you navigate to the Supporters page. Without the generosity of friends, neighbors and other organizations, TCDC would not have survived its first year; but with such generosity and support TCDC is thriving and is entering its second year with even greater hopes and aspirations. The Board of TCDC is profoundly grateful for the encouragement and participation by friends and neighbors in the Anza-Borrego Desert community who have made this first year of TCDC’s existence possible and more successful than we dared to dream. TCDC is not resting on its first year laurels… or on the bags of Sahara Mustard we have pulled! We look forward to more productive efforts to eradicate invasive mustard and protect the fragile desert during the next growing season. Stay tuned for news regarding future AmeriCorps and other significant partnerships; opportunities for involvement in Sahara Mustard mapping, removal and “citizen scientist” data collection; TCDC participation in relevant symposia; and expanded education, research and mustard eradication projects. We encourage you to be a part of the time-critical fight against the invasion of Sahara Mustard. The TCDC website stands ready to provide you with broad spectrum of information, ideas, tools and ways to help. Together we can stop Sahara Mustard and assure that desert wildflowers will continue to bloom for our enjoyment and that of future generations. Neighbors of Tubb Canyon are pleased to announce the creation of the Tubb Canyon Desert Conservancy! This non-profit conservancy was born out of the recognition that we needed to organize to protect the desert we love. A primary goal is to establish and maintain a defensive perimeter against invasive, foreign Sahara Mustard. In other parts of the Anza-Borrego Desert, this aggressive plant has recently wiped out hundreds of acres of native wildflowers, shrubs, cacti and the animals that depend on that native vegetation. The Tubb Canyon Desert Conservancy (TCDC) will conduct direct Sahara Mustard removal in an ecologically responsible manner. TCDC will also be an educational resource in the battle against Sahara Mustard, and will support research into methods of eradication. Based on our field experience, the Conservancy will refine a model for successfully defending native flora and fauna from Sahara Mustard in and around the Tubb Canyon area, intending that this model may be exported to other areas of the Borrego Valley and the greater Sonoran Desert. Please join us in actively fighting the invasive Sahara Mustard that threatens to bring a real "Silent Spring" to the Anza-Borrego Desert and other deserts of the Southwest. Sahara Mustard quickly multiplies to overshadow, poison, and rob water from the wildflower fields that bring so many visitors from around the world to this region. Eventually, Sahara Mustard can kill even tough creosote, cholla and barrel cacti, literally taking over the desert and turning it into a mustard wasteland devoid of the biodiversity needed to sustain desert wildlife, from butterflies to lizards, pocket mice to owls, hummingbirds to bobcats, roadrunners, quail, and all the others. Without the wildflowers, shrubs and cacti in our landscape, there will be no bird songs, no chorus of frogs on spring nights... and no human visitors... in a decimated ecosystem. This does not need to be the fate of the Anza-Borrego Desert! Those of us in the vicinity of Tubb Canyon organized ourselves, volunteers and workers during early 2011 to pull mustard from well over 100 acres of open desert, including the State Park south of Tubb Canyon Road. We intend to hold this perimeter and expand the regions now free of Sahara Mustard by additional "mustard busting" sessions each growing season. Over time, less and less maintenance pulling will be necessary to keep our desert free of this botanical scourge. There is no magic herbicide or technique that will stop the spread of Sahara Mustard. Ignoring its spread will only result in disaster. Currently, the most effective method of eradicating the weed's "seed bank" over time is by hand-pulling mustard plants from among our native desert flowers and cacti. It seems an overwhelming task, but it is not hard to do. Children can help. Neighbors can help. Volunteers and teams of workers can help. Many hands pulling mustard makes for light, and effective, work. We have cleared much of the Tubb Canyon Bajada in just a few weekends and we will continue to clear and defend the rest of our land. We encourage everyone to do the same. 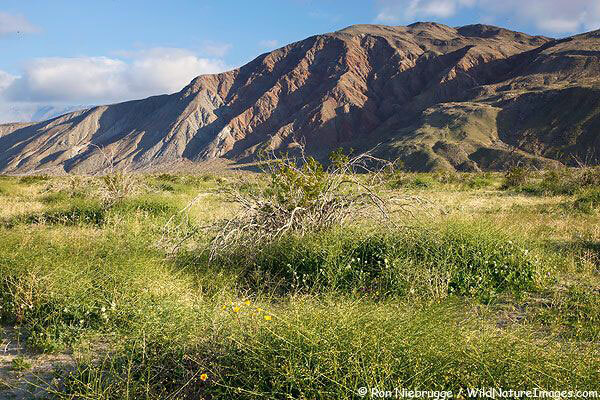 Defend and restore the Anza-Borrego Desert! Join our cadre of "Mustard Busters," clear around your own home, hotel, or favorite patches of wildflowers. Every single mustard plant pulled is one more plant that will not produce thousands of tiny red seeds. We can help the Sonoran Desert survive; however, we must begin this winter and continue into next spring, before it becomes too late and mustard seeds beget thousands more mustard plants. There are many ways you can help: Learn about Sahara Mustard, how it reproduces, what it looks like, where it grows, and how to pull it properly. Adopt a block in town or a stretch of favorite roadside, then report your observations and project on TCDC's Mustard Map App. Donate to TCDC, so that we can fund research into mustard eradication and support hard-working crews to clear the desert. Your contributions to TCDC are tax-deductible.. The State Park cannot stop mustard alone. There is no government agency who will rescue the desert. The time has come for all of us to work together to save the Anza-Borrego Desert... before it is too late.